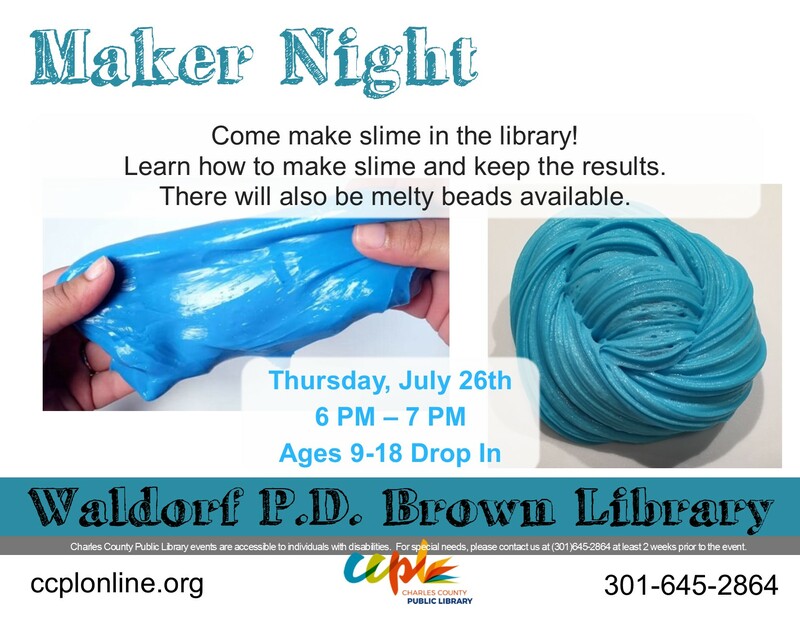 Come make slime in the library! Learn how to make slime and keep the results. There will also be melty beads available as well.